The Right to Life in Japan is a study that brings new perspectives to bear on an extremely important topic for all those facing the moral dilemmas of such issues as abortion and the death penalty. It also helps to fill a gap in life, in social science and law studies of contemporary Japan. 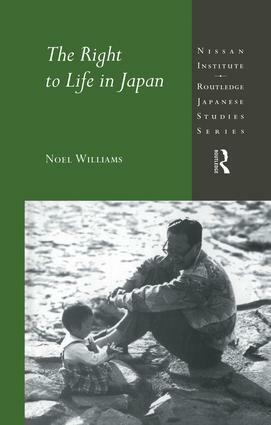 Noel Williams approaches the right to life in Japan from a legal viewpoint via a broad range of issues such as abortion, suicide, capital punishment and death from overwork. Following a discussion of law and rights in Japan from an historical perspective, the author examines the question of what life is in contemporary Japan and focuses on problematic areas which have arisen in life issues, including infringements of the right to life within the modern company organization, and by the state, as well as the question of the equality of the right to life.